Perfect for movies, gaming and browsing the web, the huge 5.5 inch Retina HD display on iPhone 8 Plus is tailor-made for entertainment. Also on board, you’ll enjoy an advanced 12MP camera, wireless-charging capabilities, and super-fast new A11 bionic chip. £1004 total cost over 2 years What's This? £1087 total cost over 2 years What's This? £1097 total cost over 2 years What's This? £1104.99 total cost over 2 years What's This? £1152.99 total cost over 2 years What's This? 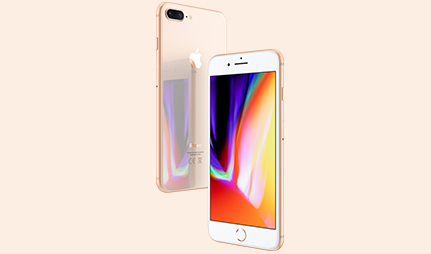 Showcasing an eye-catching all-glass body, iPhone 8 Plus has the accolade of being Apple's most durable iPhone to date. A new kind of glass combines with an aerospace-grade aluminium band to ensure this handset is reinforced against the knocks and bumps of normal use. iPhone 8 Plus is also water and dust resistant, providing an extra layer of protection against accidental spills or sudden rain clouds. Choose your favourite finish from colour-matched glass and aluminium in space grey, silver and gold. Anyone looking for big-screen entertainment need look no further than iPhone 8 Plus. With a massive 5.5 inch HD display equipped with True Tone technology, this super-smart display optimises the screen depending on your surroundings by automatically adjusting the white balance. All your movies and games will be boosted by redesigned stereo speakers, which emit 25% more volume than iPhone 7. Furthermore, iPhone 8's display also features the pressure-sensitive 3D Touch to make every gesture more intuitive. You'll be sure of impressive results with iPhone 8's wide-angled and telephoto cameras. 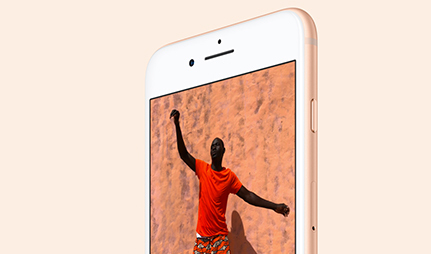 The main 12MP dual camera is supported by optical image stabilisation for blur-free shots. With a Retina Flash and wide colour capture, the 7MP FaceTime camera is also on board, ready to snap perfect selfies. Portrait Mode is now enhanced with the new Portrait Lighting feature, which uses facial detection and depth masks to produce your best ever portraits. Dazzle your friends with impressive headshots, which are improved with subtle shadows, spotlight effects and more. 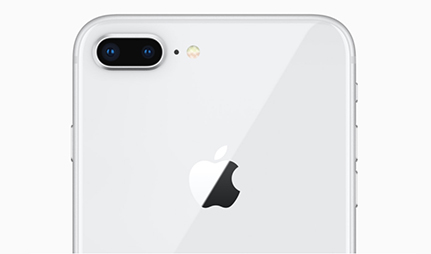 Powered by the new A11 Bionic chip, iPhone 8 Plus has the power behind the scenes to ensure a smooth user experience. In fact, this six-core processor is 25% faster than iPhone 7, and makes the most out of every charge with an improved power controller. 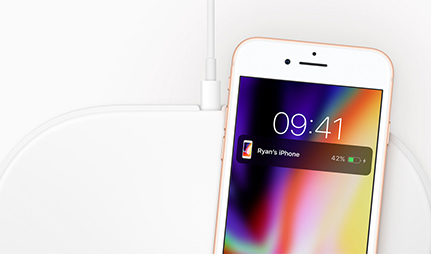 Another new Apple feature arriving with iPhone 8 Plus is wireless charging capabilities. Charge your iPhone by simply setting it down on an AirPower mat or any Qi charging station, and enjoy powering up without the usual tangle of wires. Advanced, intelligent and intuitive, Apple's newest operating system is its most impressive to date. 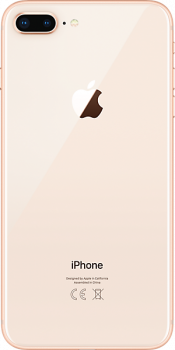 Feel protected as improved security features on iOS 11 works in tandem with the high-tech Touch ID fingerprint scanner on iPhone 8 Plus, to keep your sensitive data secure. 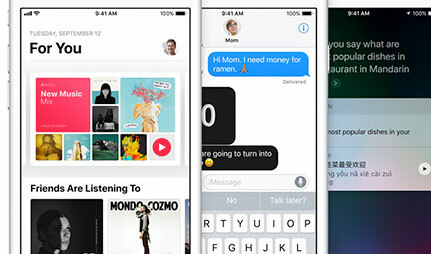 iOS 11 takes the Apple experience further than ever, with a range of in-messenger apps as well as gaming advances in the field of Augmented Reality. With the new App Store stocked with a range of AR apps and games, you can explore your iPhone's potential like never before. With over 20 years’ online experience, you’re in safe hands with Mobiles.co.uk. 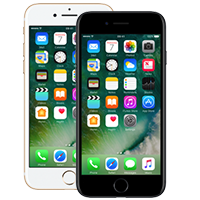 We offer a range of great iPhone 8 plus deals, with our mobile contracts available on all the main networks, meaning you won’t have to look elsewhere in the UK. You can also enjoy free next-day delivery and expert post-sales care with every purchase. In fact, we’re so good, we’ve won multiple industry awards for our great value and service. Good size, very similar features to iPhone 7 though more expensive. Did not enjoy my new phone for long as it crashed and was irrepairable. Have just set up my replacement phone so hopefully my next review will be first class! 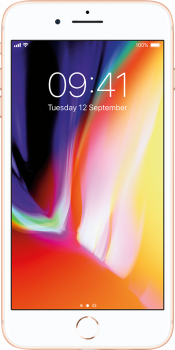 very good service obtaining the phone and afterwards if you had any queries , my daughter even bought her new i phone from this company as it was so good.